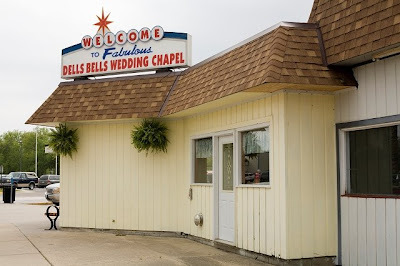 Taking the Vegas font and adding a Midwestern spin–married Vegas-style in the Wisconsin Dells. I keep forgetting to add all my Dells photos! Dell’s Bells? I LOVE IT!